Let’s be honest, the footwear that you wear is an essential part of your wardrobe. 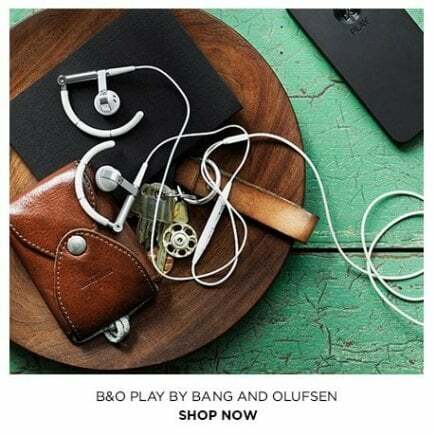 From what you wear to the office to your Friday nights on the town, your look is not complete without that trusted pair of shoes of trainers that help you make a statement. This season there is a firm focus upon trusted past, in terms of trainer drops, helping you to perfect you look. Nike and Adidas have been turning to their archives for years and with the likes of Asics set to follow suit this season with the release of the Gel-DS OG we take a look back at some of the most influential trainer models that are been reissued this season. Undoubtedly one of the most iconic shoes ever produced by Adidas, the Gazelle has a long history dating back to the mid 1960’s. Although the shoe may be viewed as relatively simplistic in a contemporary sense, its unassuming and clean looking silhouette has endeared it to its many fans ever since and ensured it has been in pretty much continuous production for the past five and a half decades. 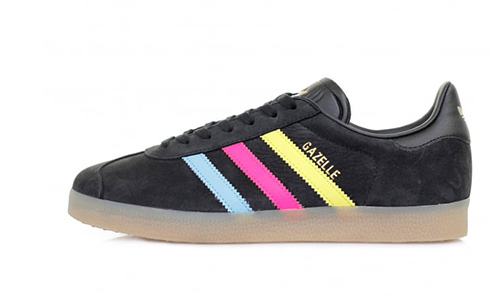 Half a dozen Gazelle colourways have already dropped this season and with a handful more set to follow suite, expect this silhouette to be as popular as ever as we enter the warmer months of the year. 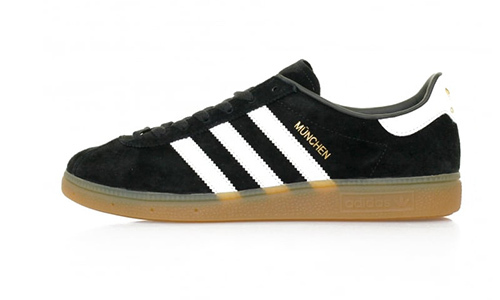 With its style taken from the original Adidas city series, one of Adidas’s most popular models, the München dates back to 1979, the year it was name the beast all round trainer. 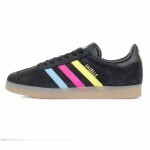 Re-introduced this season after ceasing production in the mid 80’s collectors have spent the past two decades trying to get their hands on both the high-top and low-top versions of this much-loved trainer. Black, Dark Navy and Burgundy Silhouettes of the model are already online and available for you to purchase at Stuarts London this season. The Dragon is truly an understated retro trainer to get your hands upon this season. 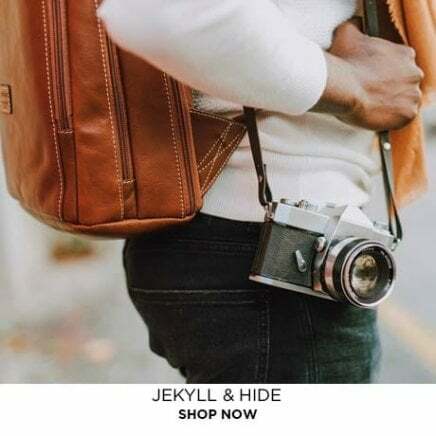 Offering versatility with almost any outfit, this model was popular in Europe, as well as been an ever present upon college campuses in the US throughout the 70’s. The main features of the Dragon that made it so popular was the fact that it is a lightweight, eye catching, and versatile trainer, something that still resonates today. New colourways that have recently dropped of the Drago OG are featured in Mesa and Clay Brown colourways, with more set to continue throughout the season. 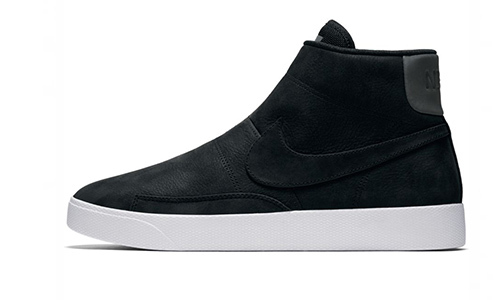 A basketball trainer that was originally launched in 1973, the Blazer quickly became one of the most famous High-Top silhouettes on the planet. Popular due to its sleek and versatile aesthetic the Blazer is an ever-popular streetwear staple no matter the time of year. This seasons modern interpretations of this retro classic features the Blazer Advanced launching at the end of January, which has been reconstructed with premium leather and an injected foam midsole for cushioning. A trainer that has made history. 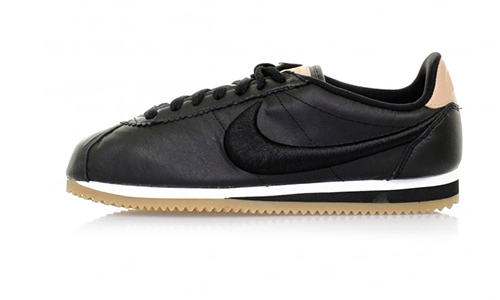 Released in 1972, the same year that Blue Ribbon changed its name to Nike, the Cortez was created by non-other that Bill Bowerman himself. 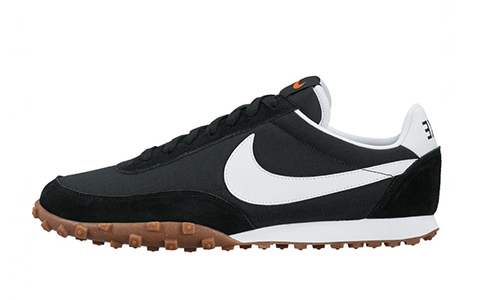 Designed for the 72 Olympics to provide runners with a comfortable shoe to help with long distances and rough terrain, the Cortez has forever been immortalised in trainer folk law influencing footwear design and technological advances from the Nike Lab ever since. Very much a Nike Essential, the Cortez has never been out of trend and is one of the ultimate footwear pieces from Archive collections to help you finish your look this season. Another running shoe from Nike’s archives that was worn in the 72 Olympics. Worn by legendary distance runner Steve Prefontaine the waffle racer went on general release in 1973. Featuring the famed waffle tread on the rubber outsole, it didn’t take long for the Waffle Racer to find success amongst runners looking for a breakthrough sneaker. The shoe became so popular that it inevitably crossed over from the world of running to become of silhouette that was key to the 70’s and 80’s lifestyle look book. 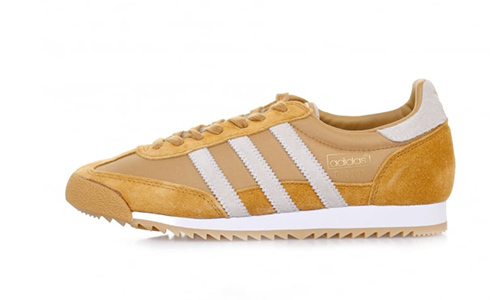 Re-issued again this season the Waffle Racer is scheduled to arrive at Stuarts London next month. An award-winning silhouette dating back to 1990. 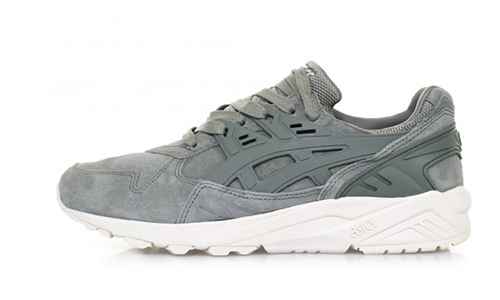 The Gel-Kayano became widely popular across the world because of its sleek style and comfort. Keeping an aesthetic that Asics has become Widley known for over the past couple of seasons this silhouette is set to be reissued for the first time, selected as the first trainer to be installed with Asics’s Knit technology. Expect these updated 90’s staples to arrive online at Stuarts London from the end of January onwards. Launched in the same year as streetwear staple the Air Force 1 this 1982 runner has forever been immortalized as being the trainer that was worn by legendary athlete Alberto Salazar. 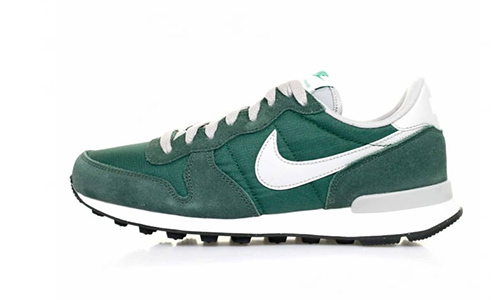 Both good looking and suited for long distance running this silhouette became an instant hit across Nike’s lifestyle and Running departments and it has remained there ever since. Reissued in 2015 you can expect the Internationalist to be a big hit again in new colourways for both retro trainer fans and pursuits of contemporary fashion. 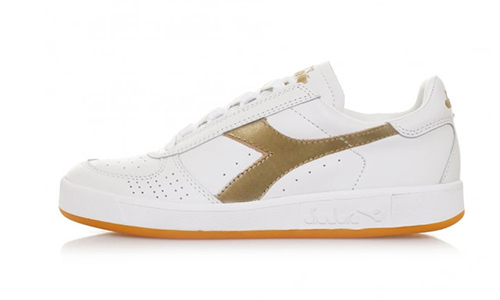 The Diadora Borg Elite is THE retro trainer. Rising to prominence in the 1980’s through this tennis sneakers close ties with Bjorn Borg, reissues consisting of the Borg Elite’s original features are as popular today as they ever have been. A great alternative to the Stan Smith, the latest instalments guarantee a premium crafted sneaker for comfort, durability and stability both on and off the court. You can check out the latest Diadora Heritage Borg Elite releases online at Stuarts London by clicking here. 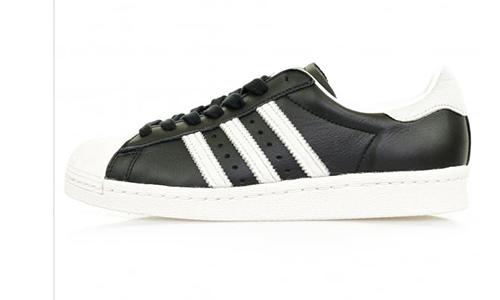 First launched in 1969, the Superstar became the first low top basketball shoe to feature an all leather upper and the infamous rubber shelltoe. The model was originally worn by 75% of NBA players including Kareem Abdul-Jabbar causing the trainer became a streetwear staple. 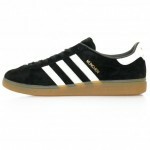 In the 80’s the superstar became of symbol of streetwear with one, Run DMC favouring this sneaker to break from conformity and was featured in the 1984 song “My Adidas” flipping the stereotype of the urban-wear. Today the Superstar is still a sneaker collection staple with dozens of lines still in production with new colourways set to arrive at Stuarts London throughout the season.